Backed by our years of industry experience, we are betrothed in presenting an excellent quality of Atlas Copco Compressor Spares. At our vendor’s end, the compressor spares are manufactured using quality raw materials and industrial approved components. 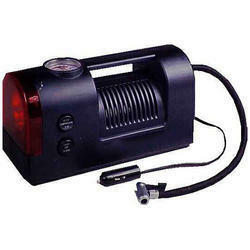 The compressor spares are manufactured adhering to industry norms and under the observation of deft professionals. Offered compressor spares are quality tested on several parameters before dispatching to the clients. 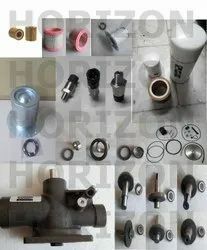 Clients can also get the compressor spares at cost effective prices from us. We have gathered a huge customer base in this domain by presenting a comprehensive range of Ingersoll Rand Replacement Parts. These parts are manufactured and designed adhering to industry standards at our vendor’s end. Our professionals ensure to opt for strict quality inspection ensuring perfect weight, accurate dimension, quick filtration or fixing, design and availability for various custom options. 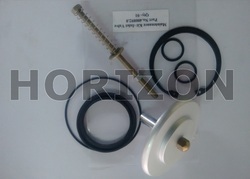 Moreover, clients can avail MPV kit, unloader valve kit, thermostatic valve, pneumatic cylinders, gas springs, air and oil hoses, poly v belts, intellisyd key pad, elektronikon key pads, temperature switches, air and oil cooler. 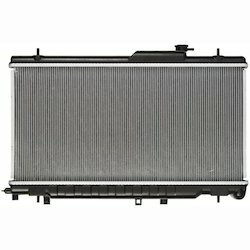 Compressor Cooler offered are made available in aluminum construction material finish. 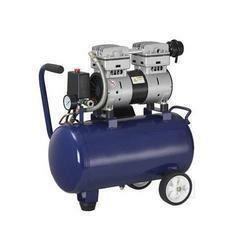 With an aim to fulfill varied requirements of our valued clients, we are engaged in offering Air Compressor Spares. At vendor’s, the spares are manufactured using iron alloy that offer robust and high stability to the make the joint machine stable. Our professionals ensure that these spares are manufactured having alignment and accuracy so that the machine can be installed and leveled accordingly. Apart from it, clients can get the spares from us made available in various sizes. Compressor Valves offered come precision designed and constructed compressor valves that provide for lasting performance. With phenomenal market understanding, we are able to introduce an extensive range of Gas Compressor Spares. The offered spares are developed using quality SS, copper, admiralty brass or CS and by applying latest technology at our vendor’s end. At our vendor’s production unit, the professionals adhere to international industry standards along with keeping a strict check on the quality production. Furthermore, quality controllers from our team opt for strict quality inspection made on the spares to ensure flawless performance.